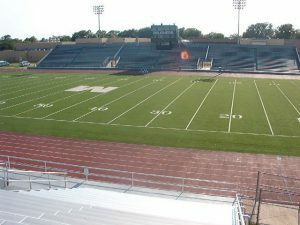 The Indian Bowl is the home field of The Muskogee Roughers. 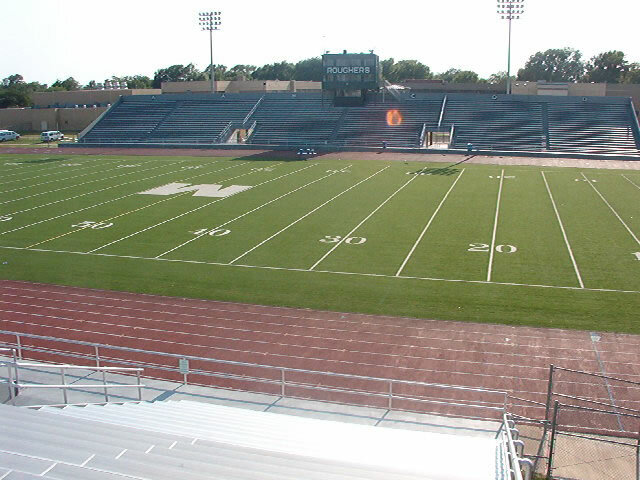 The facility includes a football stadium, track and field course and a practice field. The Roughers play high school and junior high football, high school soccer and track at Indian Bowl. The Bacone College Warriors also play on the turf field. The Indian Bowl is located behind Alice Robertson 7th and 8th Grade Center. From York Street, turn West on Elmira, proceed two blocks to Indian Bowl Stadium. From Chander Road, turn North on “S” Street, proceed four blocks, turn East on Elmira and proceed 1/2 block to Indian Bowl Stadium.